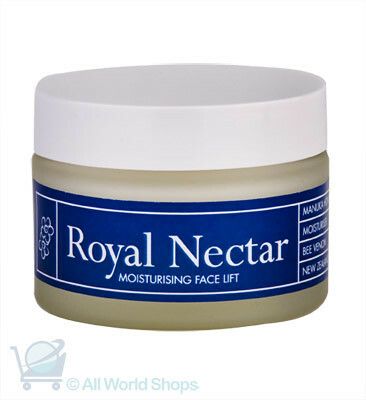 Royal Nectar Moisturising Face Lift , a photo by Shop New Zealand on Flickr. Discover the rich and famous secret to staying young and looking beautiful. The famous Duchess of Cambridge Kate Middleton used this Royal Beauty Moisturising Face Lift Cream. It was reported she used Nelson Honey's very own Nectar Ease honey, which is a Manuka Honey with Bee Venom, as part of her treatment to radiance her skin. To look like a celebrity is impossible but to feel beautiful and radiant is a possibility as Nelson Honey has now launched their very own Skincare range with the principles of Bee Venom and Manuka Honey Combined to benefit anti-aging and other skin care problem.